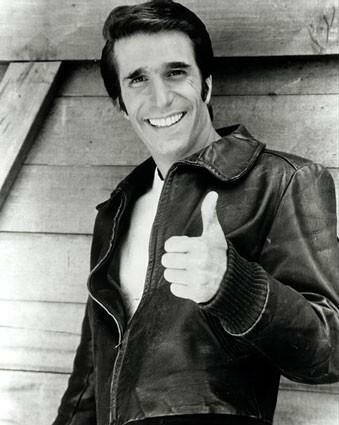 Mobile Business Intelligence (BI) is a little bit like The Fonz – it’s the nonchalant leather-clad greaser of the analytics world. But, unlike Henry Winkler’s fictional character, made popular on the American sitcom Happy Days, Mobile BI needs to be more than just cool for its audience to derive true value. Mobile BI: Is the cool factor enough? Whilst there’s no doubt that the increasingly popular iPad has added an inescapable cool factor to enterprise mobility and BI – Apple claim that almost all of The Fortune 500 will deploy iPads as part of their corporate information strategy during 2012 and Howard Dresner’s latest Mobile BI market study found that 80 percent of the globe’s Mobile BI programs will feature the iPad by the end of 2012 – implementers must beware. Rushing starry-eyed and headlong into a Mobile BI deployment will end in disappointment and potential project derailment – see our recent blog post 10 don’ts for delivering Mobile Business Intelligence for the details. There’s no point whooshing into a mobile analytics implementation just to ‘keep up’ with competitors, or purely for the sake of mobility itself. Steadfast objectives and expected benefits should be outlined, and mobile user groups carefully identified. Computerworld UK echoes this sentiment, stating that the managers and end-users of prospective organizations need to carefully analyse how Mobile BI could benefit their particular business and business model. The media organization suggested that those looking to deliver BI to mobile devices should educate themselves on the potential pitfalls, in conjunction with the desired paybacks. Assessing its strengths – namely faster information delivery and fact-based decision-making ability – in comparison the associated challenges – including security and manageability issues – will help establish realistic expectations, target user groups and achievable Return On Investment. David Stodder, TDWI Director of Research and author of the recent TDWI report, Mobile Business Intelligence and Analytics: Extending Insight to a Mobile Workforce, backs Computerworld’s call for caution. “The prospect of rolling out enterprise-class BI and analytics on mobile consumer devices gets IT managers excited – but not necessarily in a good way," wrote Stodder in the report. Stodder noted that this excitement had the potential to overshadow careful and necessary planning around sensitive issues pertaining to data privacy and security. According to the report, Mobile BI remains in something of an exploratory state, with 53 percent of participants stating that under 10 percent of their organization’s current BI users were receiving reporting and analytics via mobile devices. Sixteen percent indicated that between ten and 25 percent of users had access to Mobile BI. Stodder said that the survey results indicated, perhaps unsurprisingly, that those organizations with widespread BI implementations – underpinned by a strong understanding of their organization’s data-based goals and linked to clearly defined corporate strategy – had a greater likelihood of implementing larger, more successful, Mobile BI deployments. “The bottom line is that expansion in the number of mobile BI and analytics users seems to go hand in hand with an overall expansion in the implementation of BI and analytics tools,” wrote Stodder.